Vasyl Lomachenko cemented his crown as the best boxer on the planet with a vintage display to stop Anthony Crolla in four rounds on Friday night. The double Olympic gold medalist from The Ukraine dominated from the opening bell, taking the centre of the ring and stalking his British challenger. In what was roundly dubbed as 'Mission Impossible ' for Crolla began in ominous fashion as the slick-footed Lomachenko found his rhythm early on. Feinting and jabbing relentlessly, 'Loma' herded his opponent around the ring, landing at will. Crolla, for his part, took the fight to Lomachenko as best he could, firing over-hand left hooks in a bid to stem the tide. It was mostly in vain as the champion controlled the pace and intensity of the bout, fighting on his terms and ultimately wearing Crolla down. 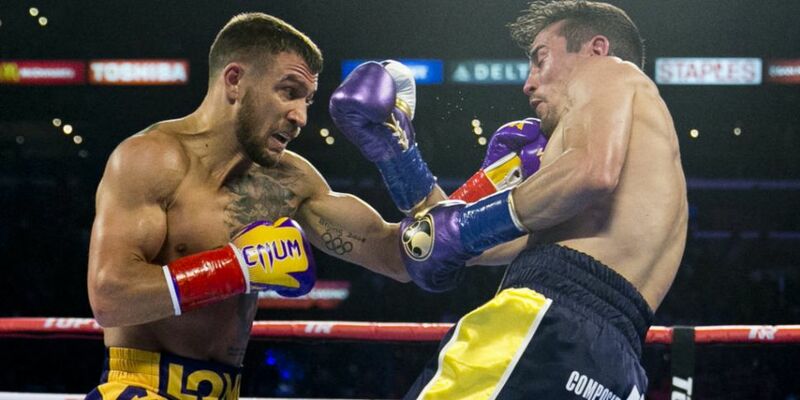 The writing was on the wall midway through the third round as the challenger couldn't cope with the varied and persistent attack from Lomachenko. The referee gave Crolla a standing count at the end of the round following another barrage from the champion and should have waved it off then. The Ukrainian superstar improves to 13-1 and called out Mikey Garcia after the bout. Garcia is recovering from the one-sided welterweight beating at the hands of Erroll Spence Jr so it could be later in the year before that fight is made. IBF titleholder Richard Commey is another plausible option as is the winner of the Robert Easter/Racnes Barthelemy bout later this month.